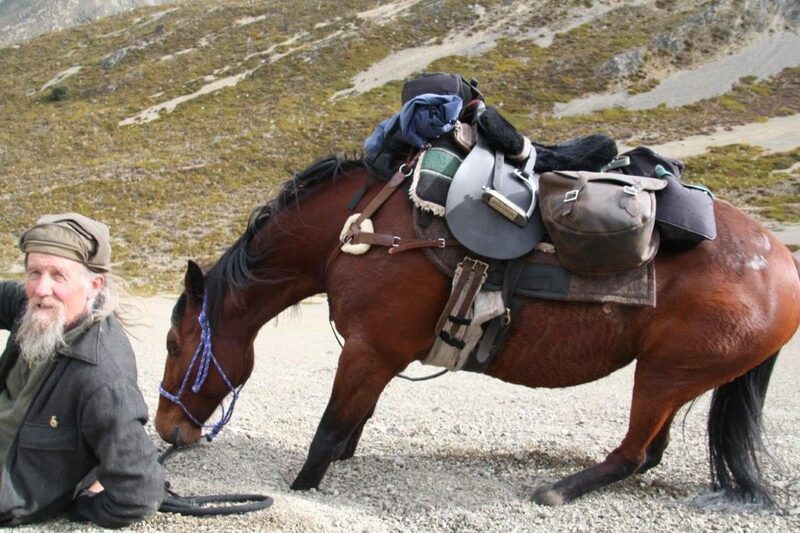 St James Routes - Part 2 - Hanmer Springs Horse Riders Inc.Hanmer Springs Horse Riders Inc. This track leaves from behind Fowlers Hut in the Clarence Valley. A wide benched track sidles up to the top of the Pass. At this point dismount and lead your horse down the steep zig-zag until you have reached Smythe stream. The rest of the track is rideable, down through beech forest remnants and following Smythe stream until it meets the upper Stanley river. Follow the track down the Stanley and across the flats to the hut. From the top of Fowlers Pass, turn left and follow an old fenceline to the top of Rabbit Hill- the first high point. Drop off the top of Rabbit Hill onto the scree slope, zig zagging your way down to the bottom (as yet this route is not marked). 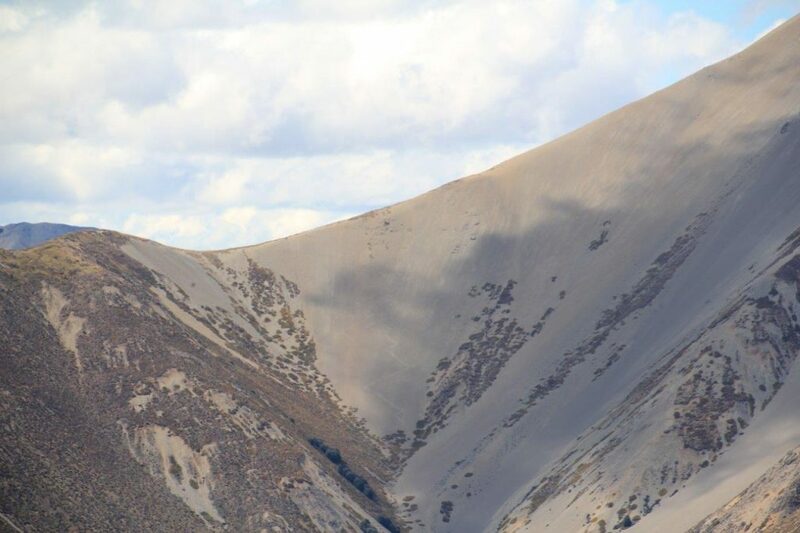 The scree slope is very steep (see pictures below). 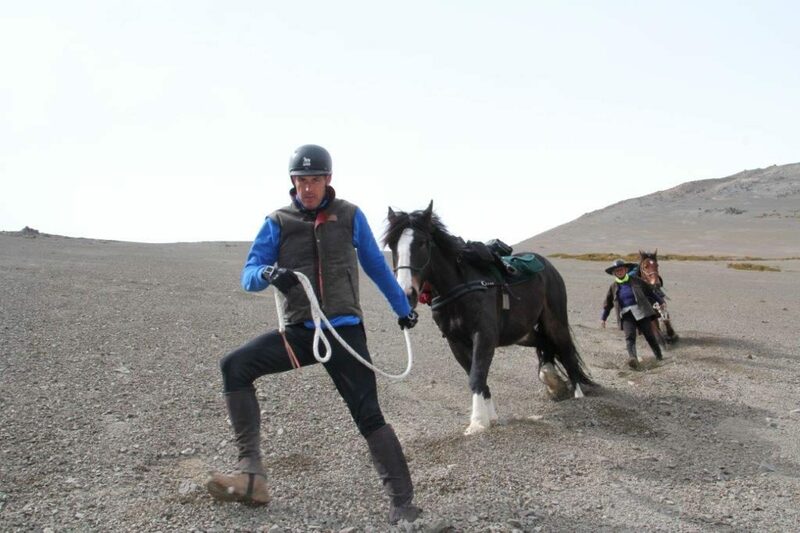 The top 50m of the scree is solid rock and although horses don’t seem to be worried by it, some humans d0. Don’t go this way if you are not relatively athletic. Otherwise, its medium. You will come out onto the main Fowlers – Stanleyvale track where Aniseed Creek meets the Stanley river. Taking a break on Aniseed Creek scree. Taken on an angle! Follow the poled route down the Stanley River, but instead of crossing the lower Stanley and turning left up onto the Racecourse, climb up straight ahead onto the grassy terrace above the true right of the Stanley where it confluences with the Waiau. Look for the bulldozer track which will take you down to the Waiau. 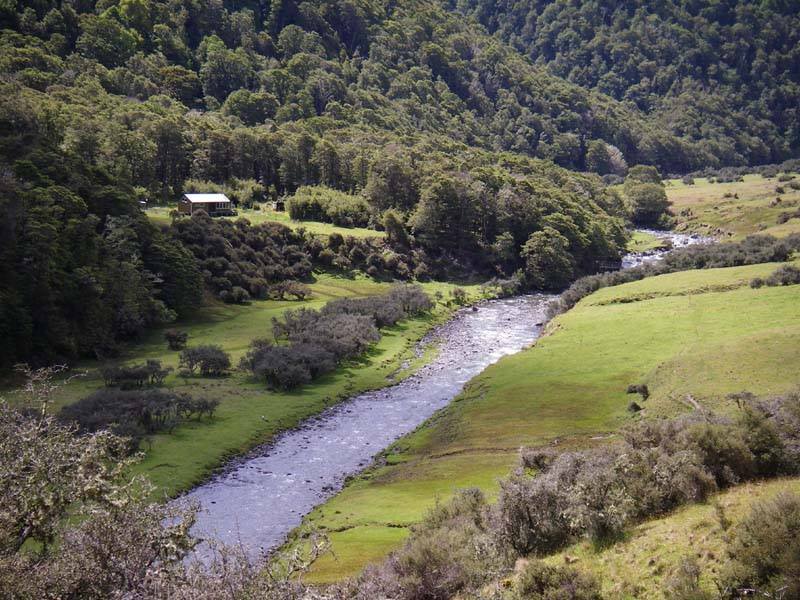 Ford the Waiau, climb up onto the terrace and Poole Hut is about 200m downstream. Note: True right and true left for rivers are always in relation to the direction in which the water is flowing. 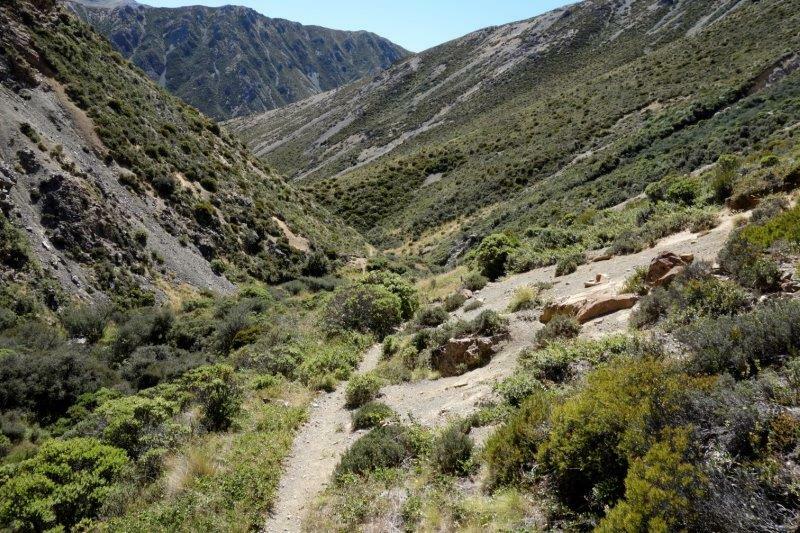 Follow the cycleway up the Waiau from Poole Hut until you are over Saddle Spur. At this point the cycleway crosses a swing bridge to cross the Waiau which is unsuitable for horses. Leave the cycleway when you have reached the bottom of Saddle Spur and follow the poled route to the Henry River. Follow the vehicle track up to the Anne Hut (you are now on the St James Walkway and Te Araroa trail so there may be trampers). Another 15 mins on from the Anne Hut near the confluence of the Anne and Henry Rivers is the old Anne Hut site. This tent camp site has a good holding paddock. Follow the St James Walkway up the Anne River until the track turns right to climb up over a boggy board-walked hill. Don’t ride up here. Drop down into the river bed and follow it up through beech forest either until you pass under a swing bridge (about 30 mins) and re-join the track on your left, or about 15 mins up follow an old pack track up through the beech to a grassy track on the true right of the river and follow it along until you meet the tramping track. You can ride the tramping track all the way over the saddle and down into the Boyle River, or if you prefer you can ride up the river flats of the Anne River until you are nearly at the top of the saddle. As soon as the track drops down to the Boyle River, leave the tramping track and cross the river to follow the green-triangled horse route markers down the river flats. You will pass the historic Rokeby Hut half-way down. When you are almost at Boyle Flat Hut, the tramping track crosses a boardwalk over a small watercourse. Follow the edge of this creek down to the Boyle River and ride under the swing bridge which leads to the hut. The paddock is just above the river below the hut. The Upper Boyle River (above where the track drops down from Anne Saddle) is very pretty and a great place to camp, no paddocks though. Do not attempt this route if the river is in flood as there are many river crossings! From the Boyle Flat horse paddock, cross the river 50m downstream to re-join the tramping track as it climbs up into the bush. (This avoids some old dilapidated boardwalks which cross very deep bogs). Follow the tramping track except where green triangles lead you down to part of the historic cattle droving route (these detours are put in to avoid board-walked or sections of track which are dangerous to horses). Eventually you will come to a gate in the boundary fence near the lower Boyle Gorge swing bridge between St James and Glen Hope Station. Please shut the gate after you. Follow along the river about 30 mins to Magdalen Hut. The Magdalen Hut is situated inside a large holding paddock. Follow down the Boyle River Flats, being careful to stay within the Marginal Strip (20 m either side of the water course), so as you don’t stray onto Glenhope Station land. About 1 hr down there is a track up onto the tramping track on the true right of the Boyle where the river sweeps in near to the bush on the right. Follow the tramping track until you have crossed a rocky side stream coming from the right with a lot of Tutu growing on the banks. After this stream, look for a marker which will show you where to drop down and cross to the true left of the Boyle again. Follow down the true left until an old stock track will take you up onto a forested terrace on you left. 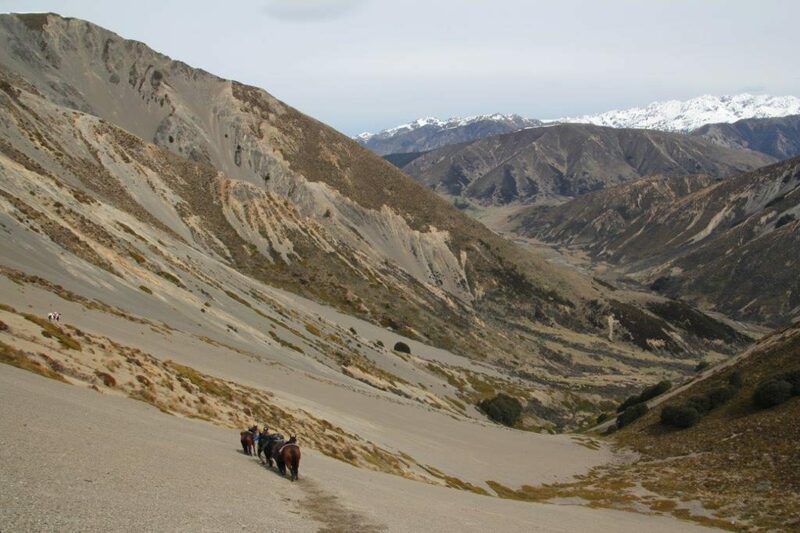 You will soon re-join the tramping track for 20 mins before reaching the Boyle Village on the Lewis Pass highway. You need to contact Todd & Sandra Alfield (03 315 7697) or glenhopestation@gmail.com, or Glen Hope Station on Facebook. If you have permission and the key to the locked gate, you can follow their access road down to the Boyle Village or trek up the Magdalen Valley to Steyning Hut and back to the St James Conservation Area.